Born in Memphis, Tennessee, Aretha Franklin moved to Detroit with her family as a small child. Raised in the Baptist traditions of her famous father, Rev. Dr. C.L. Franklin, the talented young woman was recording gospel music by the age of 14. Soon afterward, she proceeded to conquer all other forms of popular music. 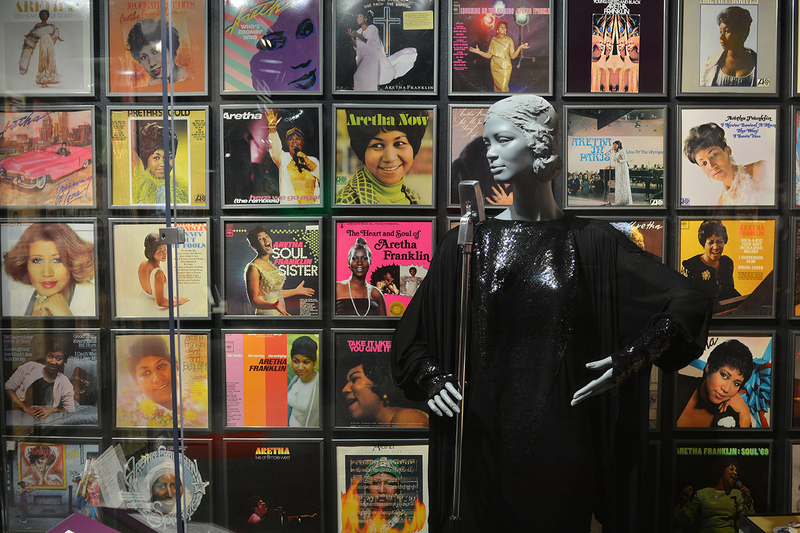 In 1967, the depth and power of her voice earned her the title “Queen of Soul.” An international superstar, Ms. Franklin received 18 Grammy Awards and sold tens of millions of records. She also became a tireless supporter of the struggle for Civil Rights and Women’s Rights. 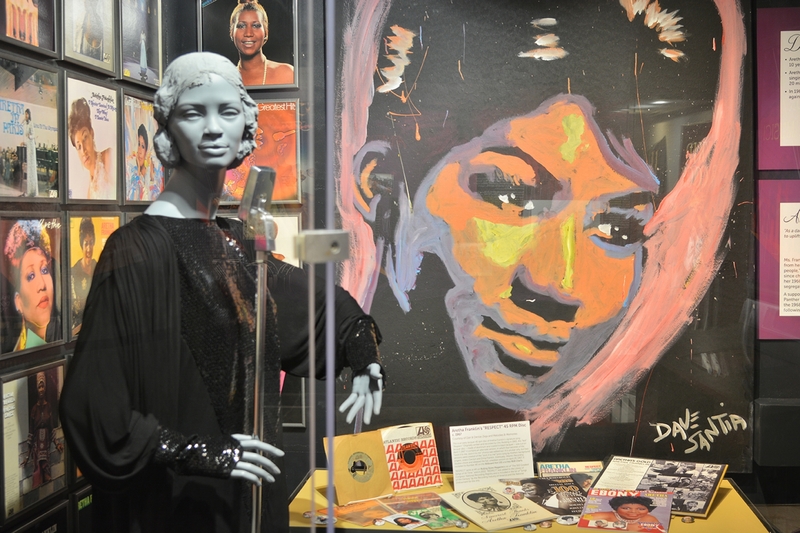 Despite her worldwide fame, she remained a lifelong Detroiter. 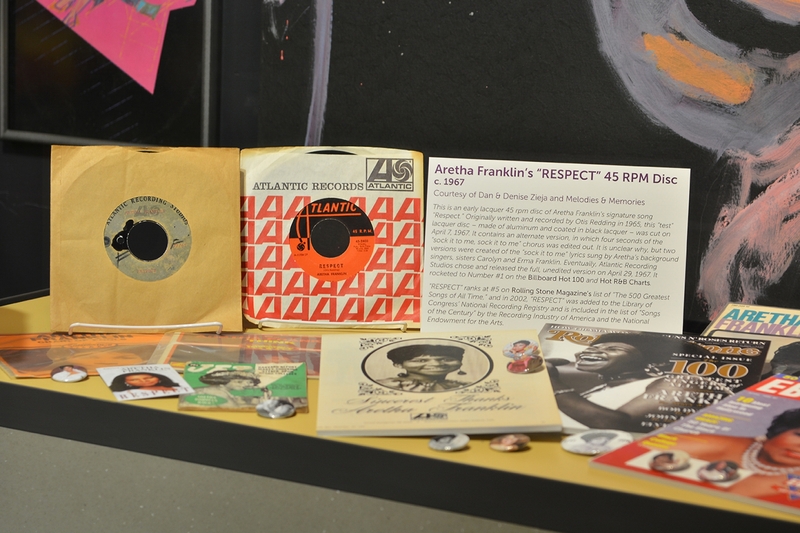 See art and artifacts that tell the life story of the Queen of Soul in our new tribute exhibition, Aretha. 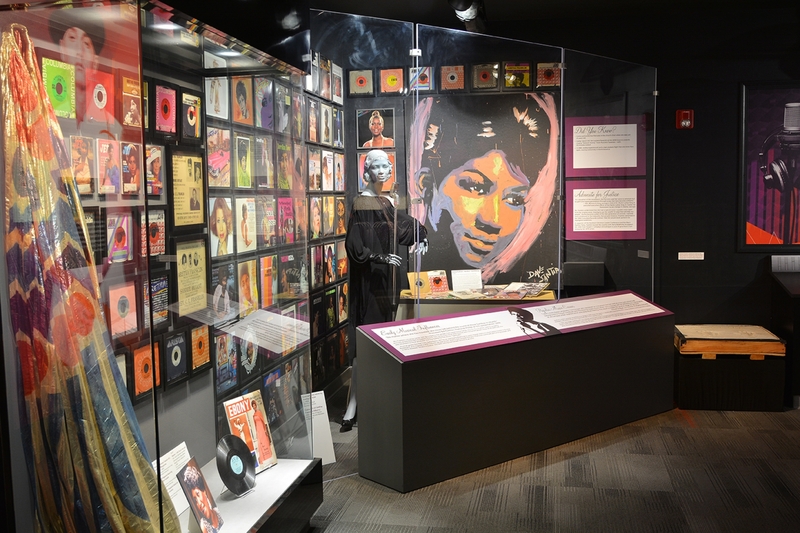 View her entire career record collection, courtesy of Melodies & Memories, and lay your hands in the Queen’s hand prints, which were cast in cement for Legend Plaza in 2017.